Calling all gamers! Please help us welcome and send a THANK YOU to our friends from Game Stop, Children’s Miracle Network Hospitals’ newest corporate partner. 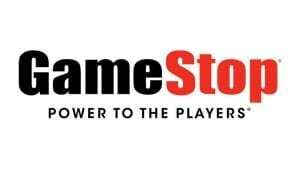 Beginning in June, Game Stop customers can donate donate up to 100 percent of the credit value to CMN Hospitals when they trade their unused video game hardware, software, accessories, or consumer electronics in-store through the Trade for Charity program. PowerUp Rewards members can also turn their PowerUp Rewards points into a donation to CMN Hospitals. And, then this September, Game Stop is hosting a Miracle Balloon campaign where customers can donate $1 at the register to help make miracles happen for Maine kids. Thank you, Game Stop, and welcome to the CMN Hospitals family!